Dow Corning 786 RTV silicone sealant is perfect for nonporous surfaces, showers, tubs, sinks and plumbing fixtures. Dow 786 Silicone Sealant is a one-component, silicone rubber sealant that is mildew resistant when cured and is also suitable for sealing porcelain, cultured marble, glass, painted areas, and other nonporous surfaces and plumbing fixtures for both new and remedial construction. 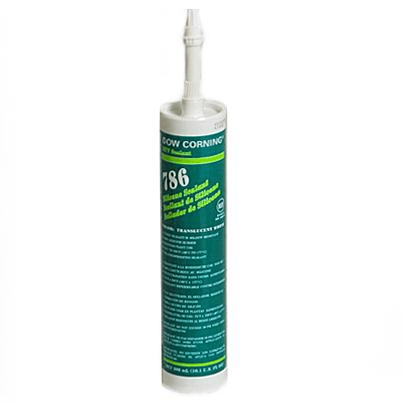 Dow 786 silicone caulk is ideal for usage where high humidity and temperature extremes are present.